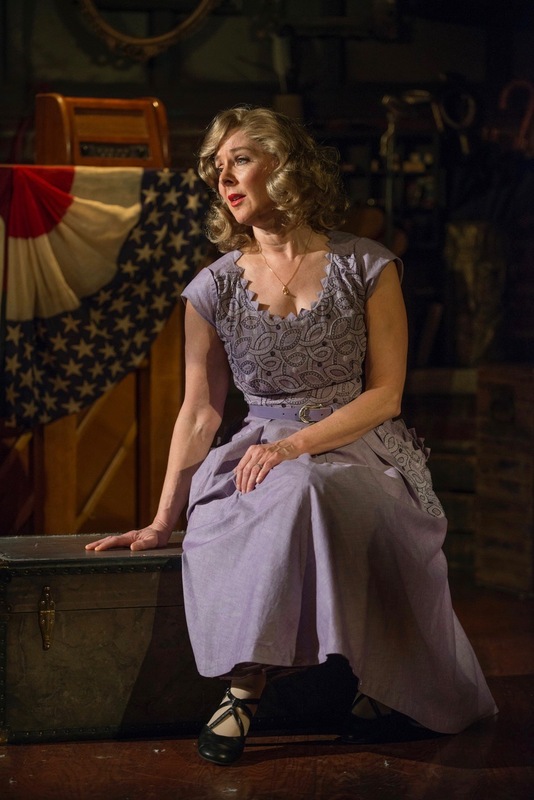 Singing “Suppertime” as “Eileen” in I Love a Piano at Milwaukee Rep.
“Labanz, delivers a moving interpretation of “Suppertime,” sung to the memory of a spouse who went to war and never returned.” –Showbiz Chicago. 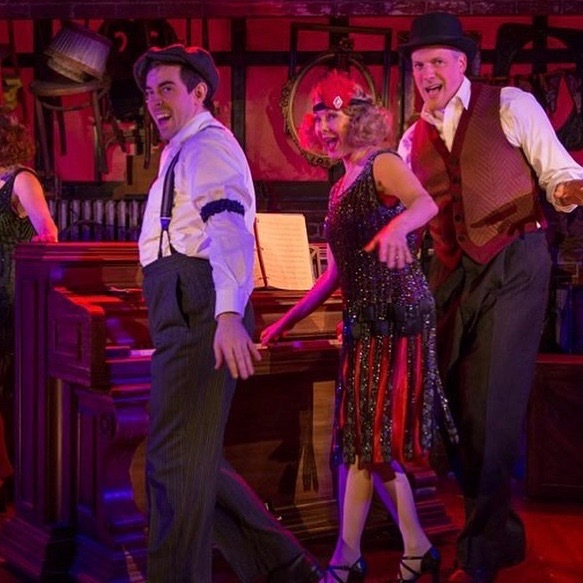 All four cast members sang, danced, and played the piano in the production of I Love a Piano at Milwaukee Rep. Photo by Michael Brosilow. Eric Shorey, Jane Labanz, and Steve Watkins performing Pack Up Your Sins.